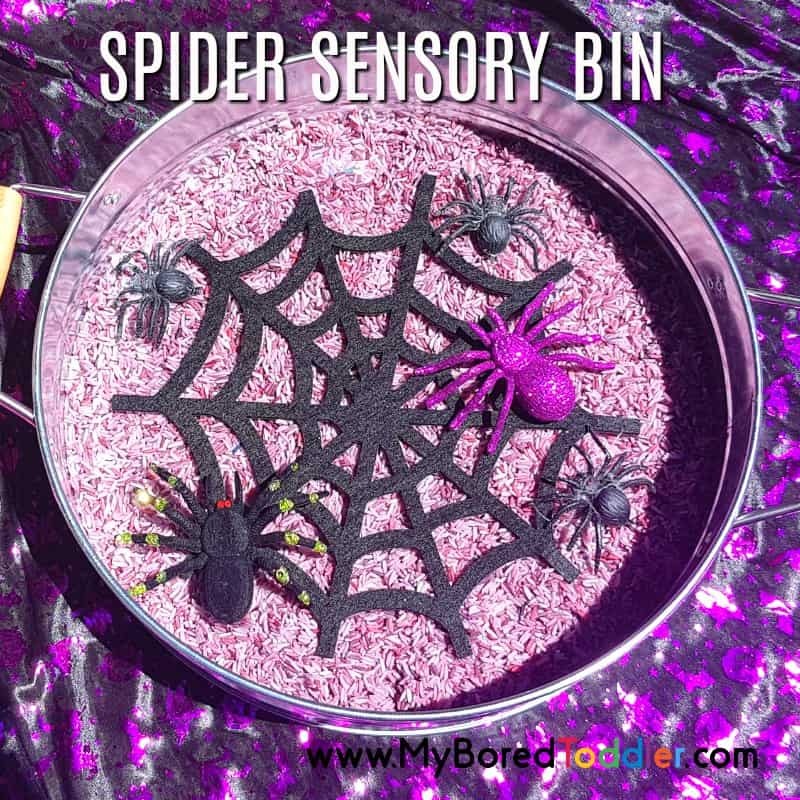 We have had so much fun with our Halloween spider sensory rice bin! 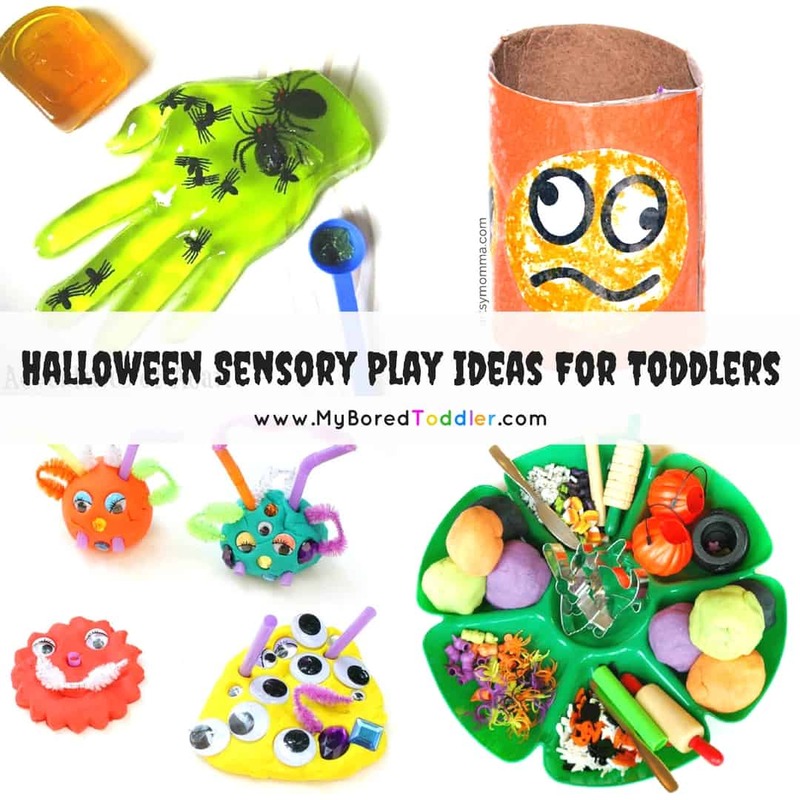 There’s something so fun about sensory play at Halloween. 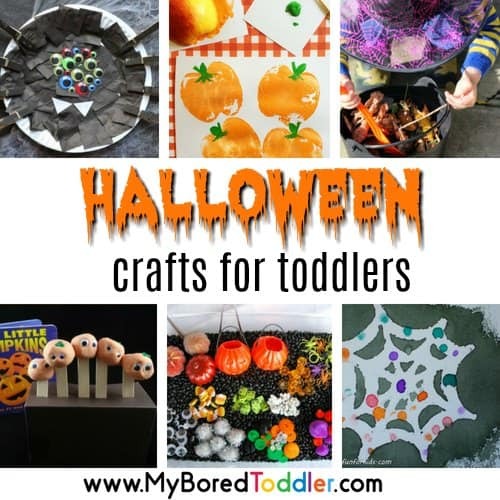 Our Halloween sensory play activities are one of the most popular posts this time of year. While some of our activities, like the fizzing Halloween sensory bin can be messy and time consuming, today I’m going to show you how to quickly make a simple Halloween sensory bin using colored rice. 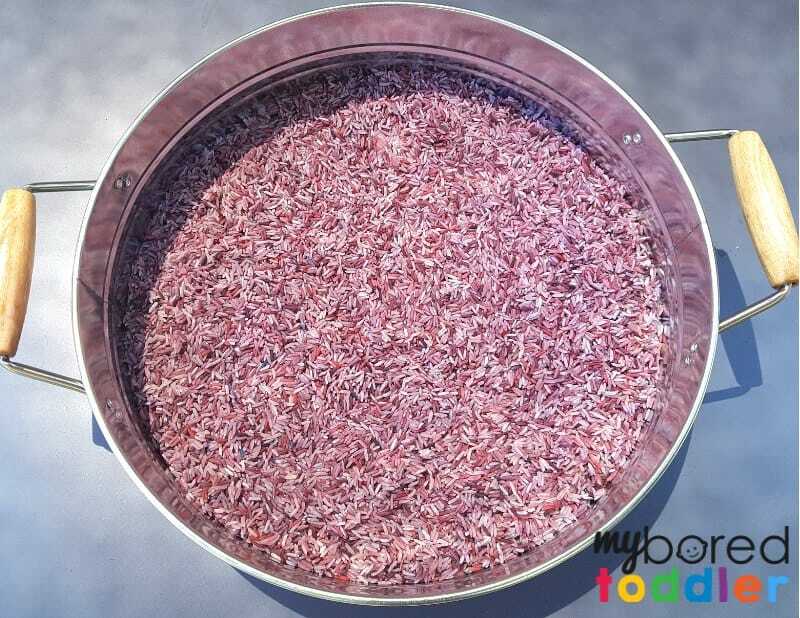 I decided to go with purple rice this time instead of orange or black – just to mix it up a bit! You can use whatever color you prefer and if you want an even quicker activity you can use plain rice or buy black rice. 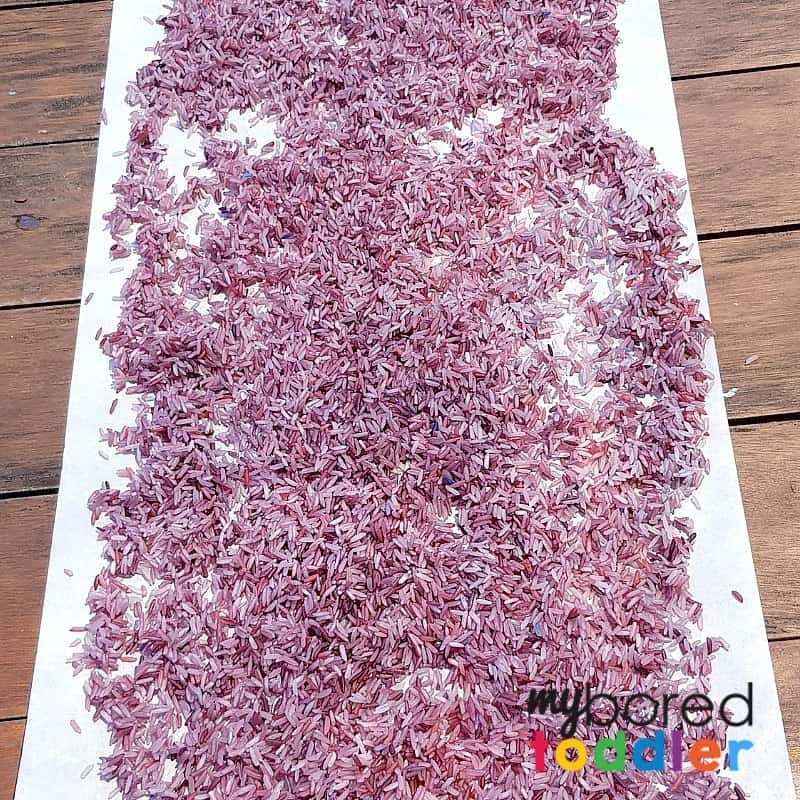 At the end of this post you’ll also see how we used the same rice and tray to make a Witch’s Brew sensory bin too! Tray or container. I used one like THIS which you can get HERE on Amazon or for our Australian readers they are available at Kmart. Purple food coloring (I mixed red and blue as it can be tricky to find purple). I always keep a pack like this handy for our crafts. 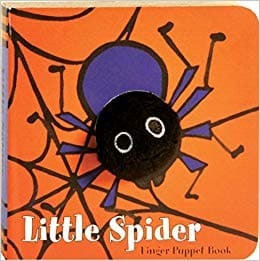 Plastic Spiders like these. I also used some large purple spiders that I found too. Spider Web felt placemat – you can get these HERE on Amazon and if you’re in Australia I go them from Big W.
Color your rice. You can find the directions for coloring rice here. 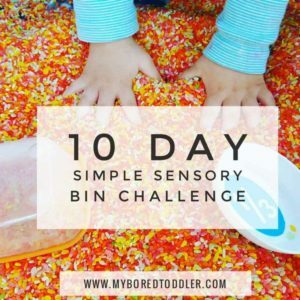 Now this is quite a simple sensory bin, and you’ll notice thtat I didn’t add too many items like we often do. I did this on purpose to see how they would play and it worked really well. There was a lot of pretend play going on here – we had a few rounds of Incy Wincy Spider too! One of the reasons I kep this one simple is that I had plans to make another one by switching up just a few items. Don’t throw out your rice! Nowt that your toddler has played with this Halloween spider sensory rice bin, keep your rice in there and you can make our Witch’s Brew Sensory bin tomorrow (so easy – you just change a couple of things!). 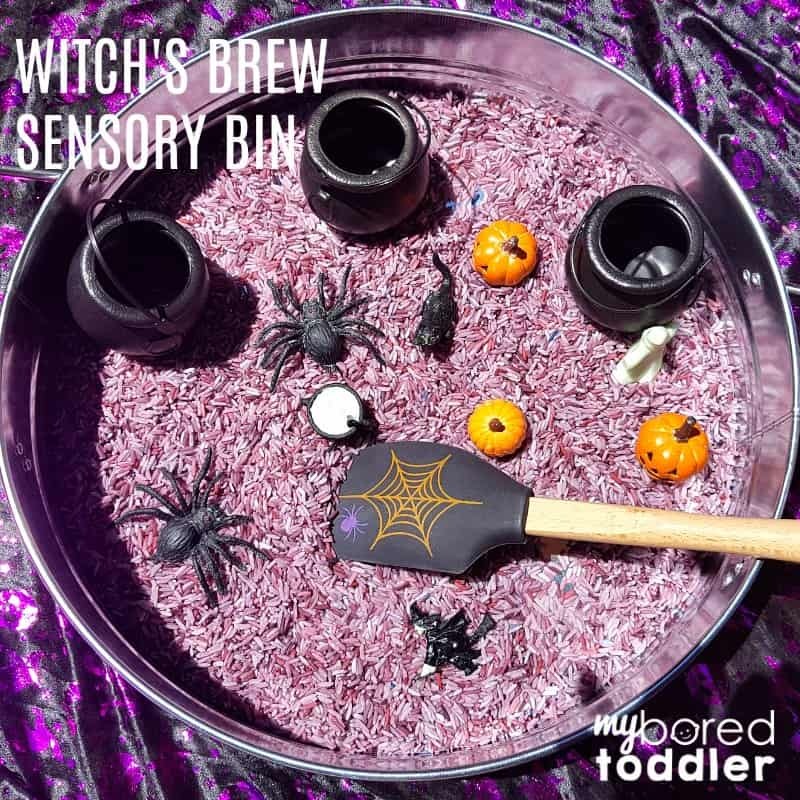 You can click here for our Witch’s Brew Sensory Rice Bin for Toddlers.